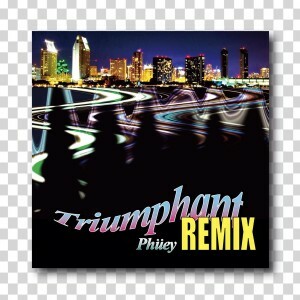 One of the better releases out of Japan in the last month and a half was Fukuoka-based artist Phuey’s high-energy stomper Triumphant, a diverse collection out of the Yesterday Once More crew. Well, when you have a good thing, better savor it as long as you can…that imprint has now called up some other producers to remix songs from Triumphant, with nice results. Youngmin Joo turns “All The Same” into a zippy bassline track, while Machete reworks “Slownt” into a hazy bouncer. And Tokyo’s own Seimei & Taimei turn the Jersey-Club-bounce of “Freakinbae” into a stuttery affair. Get it here, or listen below.